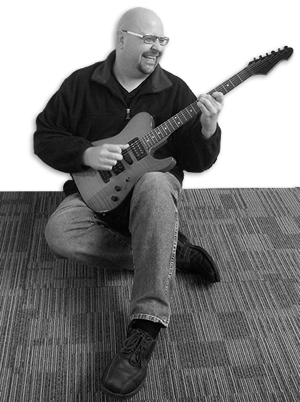 Carl Clark is a guitarist and comic book lover. He has made the cd “Tales From The Clark Side” in honor of some of his favorite comic book artists. This music is all instrumental and involves music from just about all styles, but focuses on Blues, Rock, and Jazz, in particular. Carl wanted the songs to be as different from each other as the comic book artists are different from each other. Please take a few minutes and listen to the music samples under the “Project History” tab… it has some excerpts from several of the tunes and features many different instruments taking great solos over some really unique grooves. Also, the artist Heather Landry has teamed up with Carl to make a very special comic book, also called tales From The Clark Side. Please check out the link to her website at www.sandpaperdaisy.com to see more art from this talented artist! You can purchase the cd alone, or a download (coming soon) of the music only, or a special edition pack containing both the cd and the comic book.